The Federal Government is interested in the relocation of their Vancouver offices and staff into one hub, and has been exploring site options, including an intensification of Sinclair Centre, also known as ‘Block 15’, located at Hastings, Granville, Howe, and Cordova Streets. 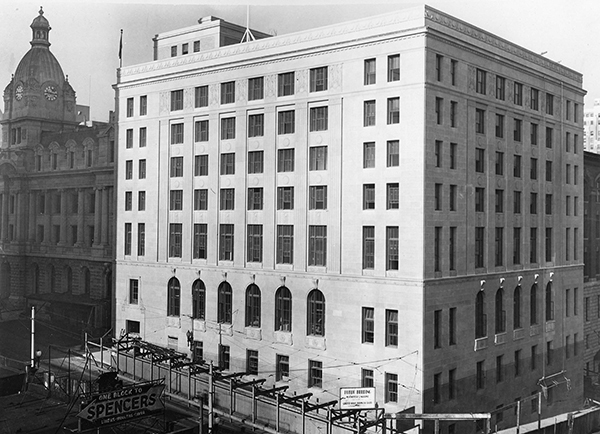 All four buildings in Sinclair Centre (757 West Hastings Street) are listed on the Vancouver Heritage Register: the Former Post Office (1905-1910), Winch Building (1909) and Customs Warehouse (1911-1913) are all Category A, and the Federal Building (1937-1939) is Category B. The Post Office and Winch buildings are also protected through municipal heritage designations. 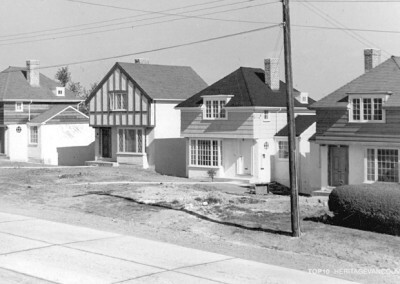 Additionally, the Government of Canada has designated the three oldest buildings (excluding the Federal Building) as “Federal Heritage Buildings”. Federal policy requires that Parks Canada be involved in the review of changes to federally designated buildings, using the Standards and Guidelines for the Conservation of Historic Places in Canada. 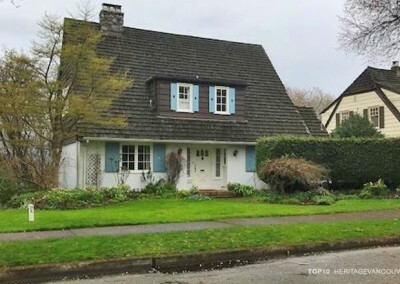 In 2015 Vancouver City Council voted to allow Public Works & Government Services Canada, which are the owners of Sinclair Centre, to submit a rezoning enquiry to increase the maximum density from a floor space ratio (FAR) of 5:1 to 17:1-20:1 FAR. Height would be increased to a total of 29 storeys, or 22 storeys on top of the existing seven-storey Federal Office Building. This increased height is contrary to the Standards and Guidelines, which state that additions should be “compatible, subordinate and distinguishable.” The scale of this proposed tower would be enormous in relation to the existing height and would radically change the heritage character of the four buildings. Seismic upgrades and structure required to hold the weight of the tower would also result in the removal of portions of the historic facades and even the potential loss of one or two heritage buildings in entirety. The National Trust for Canada has declared Sinclair Centre as one of the Top 10 Endangered Places in Canada in 2017. 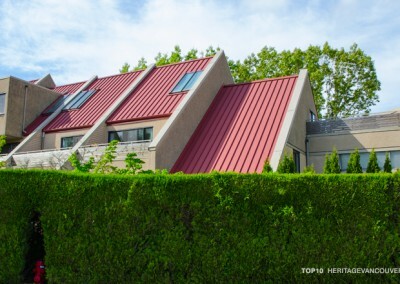 Heritage Vancouver Society believes that a creative solution to the office needs of the Federal Government can, and should, be found without threatening the integrity of Sinclair Centre through the massive tower addition that is proposed. What is the threat to Sinclair Centre? In 2015 Vancouver City Council voted to allow Public Works & Government Services Canada, which are the owners of Sinclair Centre, to submit a rezoning proposal to increase the maximum density from a floor space ratio (FAR) of 5:1 to 17:1-20:1 FAR. Height would be increased to a total of 29 storeys, or 22 storeys on top of the existing seven-storey Federal Office Building. 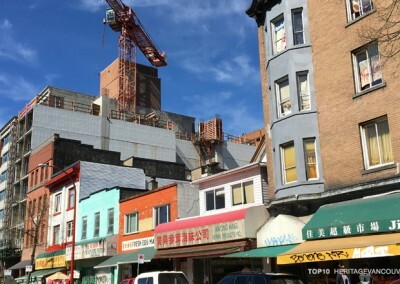 This increased height of up to 29 storeys would meet the City’s policy for the retention of view corridors, but it is contrary to the Standards and Guidelines for the Conservation of Historic Places in Canada. These provide direction for building additions to be “compatible, subordinate and distinguishable” from the historic site, but the scale of this proposed tower would be enormous in relation to existing height and would radically change the heritage character of the four buildings. Seismic upgrades and structure required to hold the weight of the tower would also result in the removal of portions of the historic facades and even the potential loss of one or two heritage buildings in entirety. 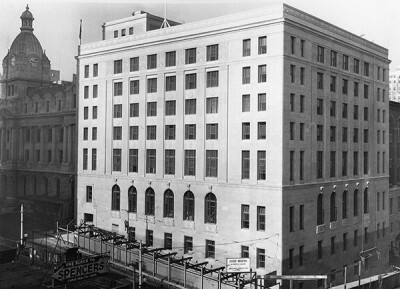 It is important to note that all four of the buildings in Sinclair Centre are listed on the Vancouver Heritage Register: the Former Post Office, Winch Building and Customs Warehouse are each Category A, and the Federal Building is Category B. 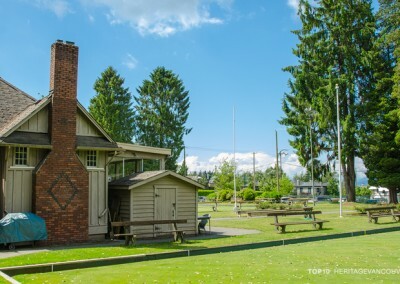 The Post Office and Winch buildings are also protected by municipal heritage designations. 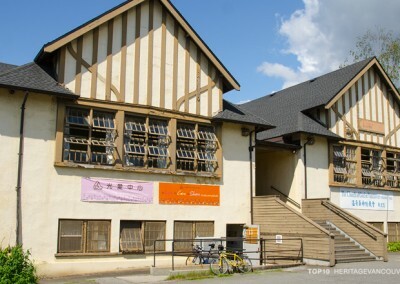 Additionally, the Government of Canada has designated the three oldest buildings (excluding the Federal Building) as “Federal Heritage Buildings”. A Federal policy requires that Parks Canada be involved in the review of changes to federally designated buildings, in keeping with the Standards and Guidelines. Despite these levels of heritage status, Sinclair Centre is, in reality, at risk because senior government is not required to comply with City policies and could add the tower without City approvals. The National Trust for Canada has declared Sinclair Centre as one of the Top 10 Endangered Places in Canada in 2017, stating “Sinclair Centre is in a vulnerable position: Unlike all other G8 nations, Canada lacks statutory protection of federally-owned heritage. 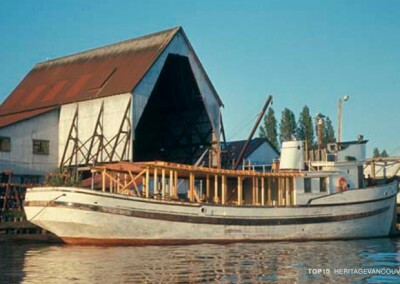 The hope is that the federal government will show leadership in the sensitive management and development of this landmark historic place.” (Chris Wiebe, Manager, Heritage Policy, National Trust for Canada). Why is Sinclair Centre significant? Sinclair Centre is significant as a symbol of the Federal Government in Vancouver, as expressed in the architectural styles and features of the four buildings, as individual landmarks and ensemble, their functions and the Public Works’ architects responsible for them. 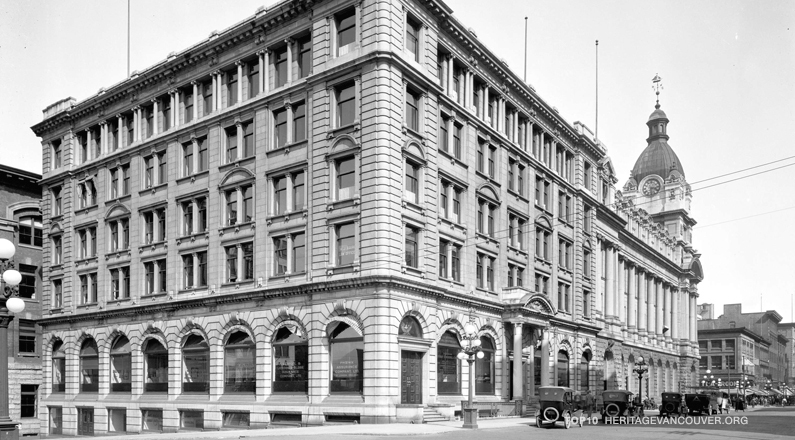 The Former Post Office (1905-1910) at the corner of Granville Street and Hastings Street was the work of David Ewart, who was Public Works Chief Architect in this era. This Beaux Arts building is built at a monumental scale, including the landmark clock tower, which was used across Canada to symbolize a Federal presence. Ewart also designed the Neo-Classical Customs Examining Warehouse (1911-1913) as an annex to the Post Office, which was typically the function of customs warehouses in communities. Together these two buildings were the receiving and clearinghouse for mail and imported goods until the Main Post Office at 349 West Georgia Street (McCarter, Nairne & Partners) opened in 1958. The Winch Building (Thomas Hooper, 1909) was built as offices and commercial space for entrepreneur Richard Vance Winch, and became a Federal property in 1925. It is important as one of Hooper’s most ornate buildings and for creating visual harmony, in its Beaux-Arts expression, with Ewart’s designs through close integration of materials, orientation and composition. Lastly, the Federal Building (1937-1939) is the work of McCarter & Nairne. 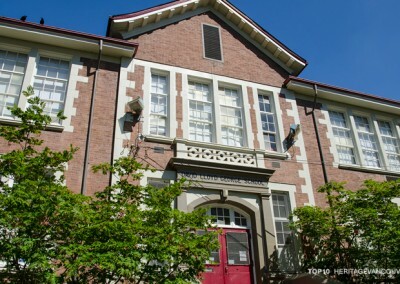 This is the only one of the ensemble that is not a designated Federal Heritage Building, however, it is significant for its Modern Classicism, then typical of institutional structures, and is understood to be integral to Block 15 as recognized in its inclusion on Vancouver’s Heritage Register. Block 15 also has value for its association with local events and people. Renovated in 1986 by local firms Henriquez & Partners, and what is now RATIO, the integration of the four buildings was achieved through the introduction of a glass atrium to create a mall in an award-winning example of Post-Modernism and rehabilitation. 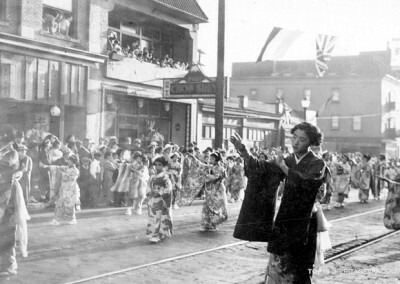 Heritage Vancouver recognizes that the Federal Government would like to consolidate its operations and staff in Vancouver and that Sinclair Centre may be well suited to meet these needs with its location near to transit and currently underused office space. Write to your Member of Parliament to express that Public Works & Government Services Canada should not pursue the addition of a large tower at Sinclair Centre. Write to Mayor and Council to let them know your concerns about the rezoning proposal for increased density, height and the tower addition to Sinclair Centre.